This is a story about depression; magic mushrooms; and a married couple building a billion dollar pharmaceutical startup. Depression is the single leading cause of disability worldwide (Source: WHO). The total costs of mental health issues amount to more than 4% of GDP across the EU (Source: OECD). These are the sort of figures that fire up policy-makers. But it was an event much closer to home that moved the married co-founders of COMPASS Pathways to action. George Goldsmith and Katya Malievskaia’s son had developed severe depression. The standard bundle of antidepressant drugs and cognitive behavioural therapy (CBT) just wasn’t working. This isn’t unusual: one-third of depressed patients are considered ‘treatment-resistant’, and their son was one on them. Katya, a doctor in internal medicine and expert in public health, was up late at night scouring academic journals for potential solutions when she came across small-scale research that pointed to the therapeutic potential of psilocybin. Psilocybin is the psychedelic ingredient in magic mushrooms. Indigenous cultures have been benefiting from the use of magic mushrooms for centuries. But it wasn’t until the discovery of LSD in the mid-20th Century that Western cultures started experimenting with psychedelic drugs. These substances quickly became strongly associated with the counterculture movements of the 60s, particularly the anti-Vietnam war protests, and it wasn’t long until they were banned under national laws and international conventions as part of the disastrous ‘War on Drugs’. The effect of this legislation for medical and life sciences research was devastating . Scientists around the world attempting to investigate the clinical potential of these particular molecules faced an impenetrable jungle of burdensome and costly regulations which forced almost all research to come to a halt for half a century. Psilocybin naturally occurs in over 200 species of mushroom. 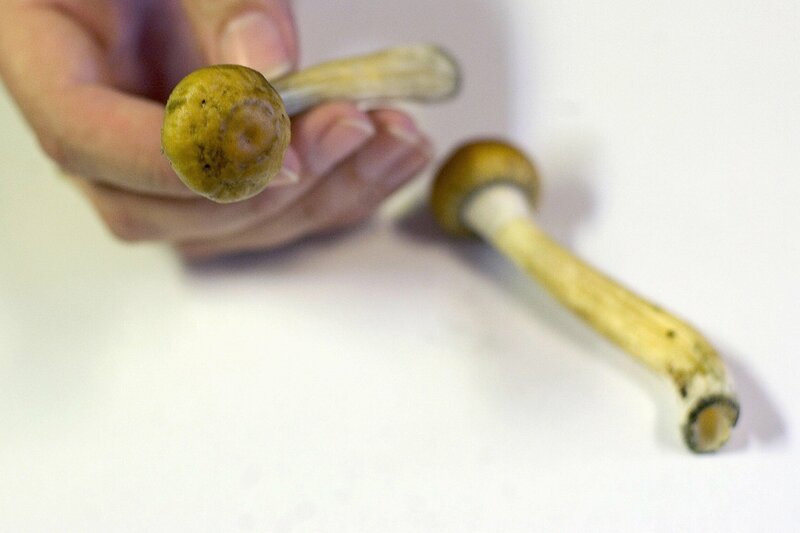 However, researchers are required to artificially synthesise their own pure psilocybin in order for it to be of adequate quality for medical use. But there’s a need, Davis said, “to make sense of these experiences and to bring them into your day-to-day life in a way that doesn’t discount the meaning.” That doesn’t necessarily have to be therapy or one-on-one counseling with a guide, but it’s crucial to integrate the experience into your daily life, whether that’s taking up a new practice like yoga or meditation, spending more time in nature, or just cultivating new relationships. In the last decade, commentators have been hailing a ‘psychedelic renaissance’ as new brain-imaging technology and the assistance of crowd-funded non-profit organisations, most notably MAPs , have enabled scientists to gain insights into the therapeutic potential of these banned substances that have exceeded all expectations. New ‘fMRI imaging’ techniques have allowed scientists to better understand what the ‘psychedelic state’ actually looks like in the brain and patient trials have indicated that psilocybin therapy could be more effective than the treatments for depression currently on the market. George and Katya founded C.O.M.P.A.S.S. in 2015 as one such non-profit organisation with the mission of aiding the development of psilocybin for therapeutic use. After a successful but small-scale project on the Isle of Man, they came to realise that the regulatory burden was such that their capacities to reach patients as a non-profit were severely limited. It was after a particularly frustrating 4 hour meeting with the European Medicines Agency, attended by renowned expert in the field, Prof. David Nutt, that they decided to pivot into a pharmaceutical startup. They welcomed business school grad and serial entrepreneur Lars Wilde onto the founding team and set about raising capital for Compass Pathways. Neurobics for your mind. Get your brain fizzing with energy. American researchers coined the term ‘neurobics’ for tasks which activate the brain's own biochemical pathways and to bring new pathways online that can help to strengthen or preserve brain circuits. Brush your teeth with your ‘other’ hand, take a new route to work or choose your clothes based on sense of touch rather than sight. People with mental agility tend to have lower rates of Alzheimer's disease and age-related mental decline. They are clearly an impressive team: in addition to Katya’s scientific background, George is a serial entrepreneur who specialises in helping businesses negotiate with regulators. But it must have been a struggle to convince investors to pour their money into a notoriously risky sector where even the most accomplished founders are completely dependent on the success of future clinical studies. Perhaps it was their personal story or Silicon Valley’s penchant for psychedelics that helped them raise almost $40M . Their investors include the infamous Paypal co-founder Peter Thiel; the Wall Street-turned-crypto financier Mike Novogratz and various European VCs. The magic mushroom had hit the mainstream and they now had the necessary funding to synthesise their own psilocybin and roll out detailed clinical trials in the UK, the Netherlands, Finland, Portugal and the US on the use of psilocybin for treatment-resistant depression. What can a patient expect from psilocybin therapy? Unlike anti-depressant medication (e.g. SSRIs), the patient is not left to self-administer psilocybin. But unlike cognitive behavioural therapy (CBT), the psilocybin sessions are completely non-directive. If you were a patient receiving psilocybin therapy, you would meet with a therapist a few weeks before your trip in order for you to get to know each other and mentally prepare for what is likely to be an intensely strange experience. The trip itself takes place in a room with soft-furnishings and a high-fidelity sound system playing fairly neutral music (think Phillip Glass ). The same therapist is on-hand to gently guide the patient and encourage them to remain open to the experience, but is not there to engage in any sort of intellectual conversation. One therapist likens the role to a mid-wife compassionately reassuring a mother giving birth. And, like giving birth, patients report that their trip to be one of the most meaningful and profound experiences in their life. This contrasts with the role of the cognitive behavioural therapist who, through Socratic conversation, acts as the expert directing the patient towards the answer. In psilocybin therapy, the patient is their own expert. After the treatment, patients report feeling like their brain has been rebooted and that their constant spiral of ruminating thought-loops was temporarily replaced with a heightened consciousness filled with beautiful chaos that showed them how to escape the negative self-narration that had imprisoned their mind. So what is actually happening in the brain? Psilocybin has been shown to reduce blood flow to the Default Mode Network (DMN) . The DMN is a busy transport hub that connects different parts of your brain to create what you perceive as your standard state of consciousness . As we develop from young children into adults, these neural connections grow stronger but also more constrained. This is why children can come out with strange but creative ways of seeing the world — their brains are more plastic and free to make unusual connections — whereas adults tend to become more fixed in their thinking. In the psychedelic state, the DMN is suppressed causing the brain to reorganise its usual network of neural links into a fresh state of ‘ hyperconnectivity ’ where new and unusual connections are formed between different parts of the brain. This is analogous to bringing us back to a more free, child-like state of consciousness . Functional connectivity of the brain on placebo (a) compared to on psilocybin (b). 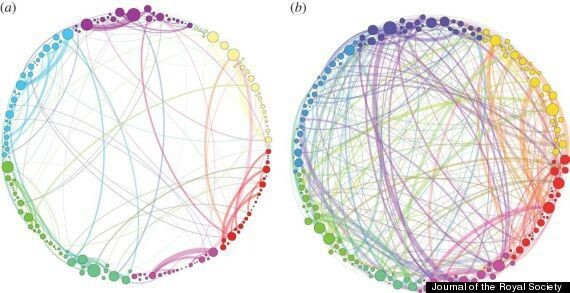 There is no increase in the number of neural connections but the connections in the psychedelic state are much less constrained (hyperconnectivity). Depressed patients are trapped in a rut of negative thoughts and, like tracks in the snow, the more they ruminate, the stronger those connections get and so the deeper the ruts become. Psilocybin, by temporarily suppressing the DMN, acts like a snow-plough smoothing over those deep-cut tracks allowing the patient’s mind to escape the rut of depression and roam freely through previously unexplored thoughts and emotions. The DMN is also very much involved in maintaining your sense of self, your ego — that narrative voice inside your head which separates you from the rest of the world. For depressed patients, that inner voice of the ego is often pernicious and over-active. CBT and mindfulness therapy aims to combat this by encouraging patients to identify less with their thinking and emotions. However, this is a difficult and resource-intensive process. The sense of the shrinking of your own ego — accompanied by a growing feeling of interconnectedness with a universal tapestry of consciousness — has long been reported by users of psychedelics however it is only now that we are beginning to understand the mechanism and its therapeutic potential. The ego-dissolving effects of psilocybin can help patients gain a sense of inner peace which stays with them after the hallucinogenic effects have worn off and achieve in talking therapy. The amygdala is a small, almond-shaped part of your brain responsible for processing negative emotions such as stress and fear. Traditional SSRI antidepressants operate by reducing the response of the amygdala to negative emotions, which some have observed causes an unwanted side-effect of ‘emotional blunting’ in patients. Scientists were surprised to find that amygdala responsiveness was increased post-psilocybin. This has led them to hypothesise that, whilst antidepressants could reinforce emotional disconnection, psilocybin therapy led patients to confront and work through all emotions — accepting the negative ones as well as having a greater appreciation for the good times. COMPASS has demonstrated sufficient preliminary clinical evidence that psilocybin may be a substantial improvement over available therapy for treatment-resistant depression for the US Food and Drug Administration (FDA) to designate them a ‘Breakthrough Therapy’ . This means that the FDA will assist COMPASS by accelerating the clinical development of their product. However, the mainstream success of COMPASS has put it at loggerheads with many in the psychedelic community. Soon after the FDA designation, Quartz published an article detailing allegations that COMPASS had been misleading its researchers; putting patient safety at risk in their rush to go to market ; and adopting the worst kind of pharmaceutical-industry tactics in order to dominate the field. The piece cited the concerns of 9 psilocybin experts who had previously worked with COMPASS in its non-profit form but now felt deeply betrayed by its corporate approach. This article quickly spread amongst those passionate about psychedelics. 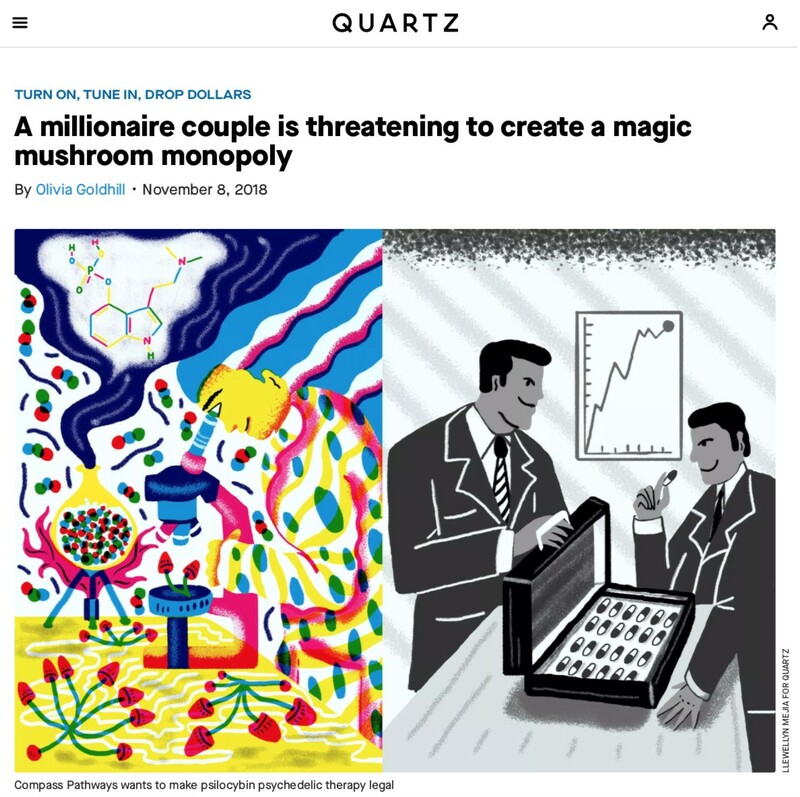 For most readers this was the first time they had come across COMPASS and the picture it painted of “a millionaire couple threatening to create a magic mushroom monopoly” was enough to persuade many of them that selfish elites were once again trying to ruin the party. COMPASS are a startup — they don’t yet have a communications department — and the tone of their two written statements in response which claimed that their critics were “malicious[ly] bias[ed]” seemed ineffective at adequately rebutting the specific allegations made against them and only confirmed to many readers that they were the bad guys. 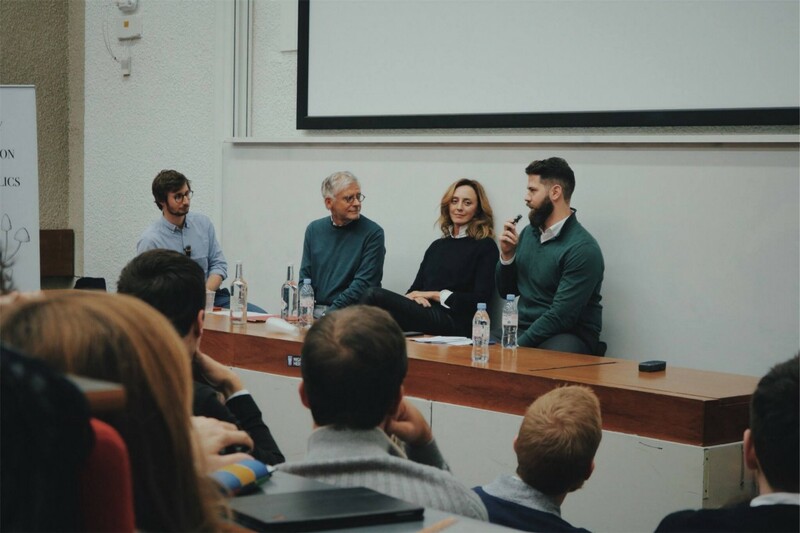 Coincidentally, it was at an event organised by the LSE Neuroscience Society and the UCL Society for the Application of Psychedelics where the co-founders of Compass publicly responded to these allegations for the first time. Here they were able to tell the complete story outlined above of how and why COMPASS became a for-profit business. Katya also argued that, given how much it costs to take the treatment to market (£100M — £200M), there is an ethical issue of taking so much funding from the charity sector when it could be sourced from investors. They also defended their use of patents which has been criticised as intentionally monopolistic in restricting others’ access to their research. They pointed out that patents are necessary to secure the funding needed to bring a drug to market and explained that the patent is only on the process of synthesising the psilocybin they are using (COMPASS created about 60 new solutions to problems with synthesising psilocybin). They also highlighted that there is a time limit on these patents — in Europe the patent prohibits another company selling COMPASS’ psilocybin synthesis only for 10 years (and other organisations can begin to use data from their research after 8 years). Furthermore, it does not prohibit any other enterprise from initiating the development of their own psilocybin treatment based on a different synthesis to COMPASS’. The couple stressed that they will prioritise patient access, extracting profits from selling the treatment at a high volume rather than at a high price. Ask about Mad Aunt Edith. Find out your family history. You need to know if there are any inherited diseases prowling your gene pool. According to the Mayo Clinic, USA, finding out what your grandparents died of can provide useful – even lifesaving – information about what’s in store for you. And be candid, not coy: 25% of the children of alcoholics become alcoholics themselves. Lars Wilde, COO, gave an timeline of 3–5 years before their treatment is rolled out. This is ambitious but will tragically still be too late for many depressed patients. It will be interesting to see which market they choose to enter first — will they choose whichever country grants them approval first or wait to launch in a smaller test market before expanding to the US? One of the biggest challenges they face will be training enough therapists in a practice very different from traditional CBT. 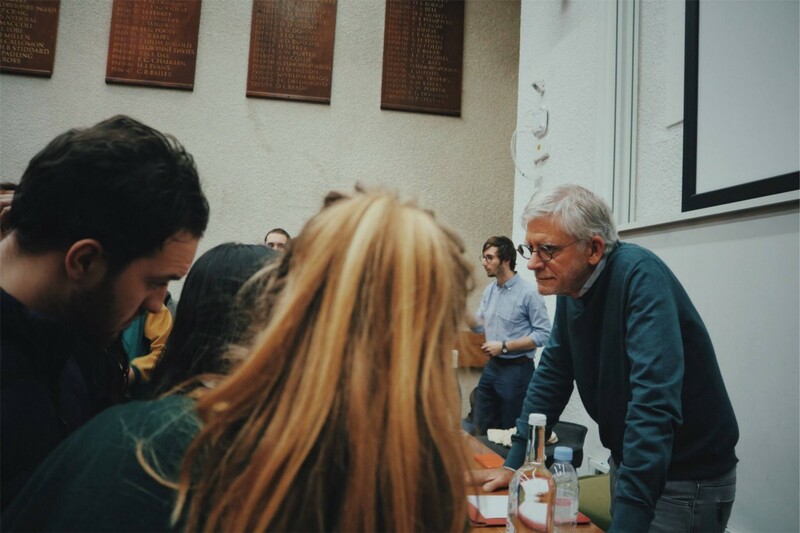 However the hoards of students at UCL jostling for the chance to introduce themselves and exchange business cards with the founders was a positive indication of strong interest from a new generation of talented graduates. The backlash COMPASS faced from the psychedelic community at their signs of success is undoubtedly only the beginning. If COMPASS further progresses through the necessary regulatory hoops, they will surely attract more mainstream media scrutiny. In spite of the scientific evidence to the contrary, it will likely prove too tempting for many newspapers to take a cheap shot at ‘the couple looking to poison our kids with their hippie-dippie shrooms’. It may be advisable for them to hire a full-time Head of Communications. They will also face the challenge of big pharma who will do everything in their power to stop a competitor taking a slice from the sizeable anti-depressant pie. Of course, this could ultimately be COMPASS’ exit strategy. 15 years down the line, it could be hard for them to persuade their investors (or indeed themselves) that they should refuse a multi-billion dollar offer from an incumbent.